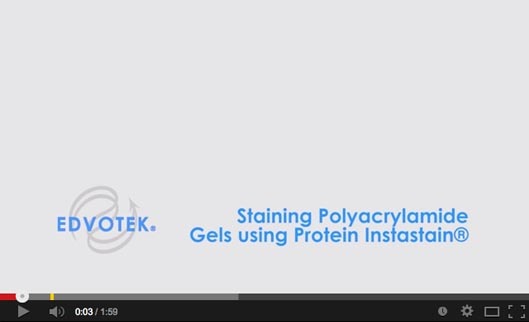 In this experiment, total protein extracts from several bacterial sources are compared. 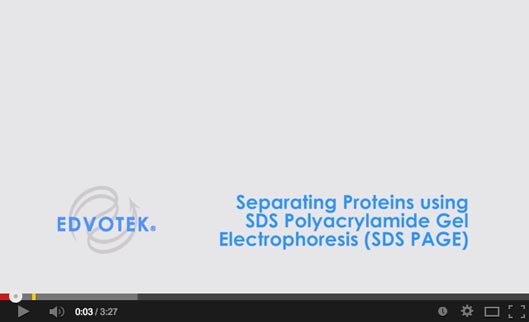 The unique patterns of protein bands, obtained by SDS vertical polyacrylamide electrophoresis, can be used to identify various bacterial strains. Kit includes: instructions, bacterial cultures and reagents, LyphoProteins™, Lysozyme, buffers, Protein InstaStain®, practice gel loading solution, protein sample buffer, unknown proteins ready for electrophoresis, ReadyPour™ Agar, nutrient broth. All you need: 3 polyacrylamide gels (12%), vertical gel electrophoresis apparatus, power supply, Microcentrifuge, incubation oven, hot plate or burner, white light visualization system, automatic micropipet with fine tips, lab glassware, methanol, glacial acetic acid, distilled water.